Some things get lost in translation. I’m not just talking about sayings and phrases here. Although the classic “raining dogs and cats” scene from Die Hard: With A Vengeance immediately springs to mind here. No, I’m talking more about humour, in its broadest possible sense. Each nation has its own particular sense of humour: some like it big and brash, some like refined and witty and some… just like hearing the word “poop”. As a Brit / Pommie / stuck-up S.O.B., we like to dabble with the darker side of humour and also love a bit of sarcasm and cringe-worthy inducing behaviour. We love it. Our TV series are littered with it. Some have transitioned to US TV screens (The Office, The Inbetweeners), whilst others haven’t. And I’m not sure why. But perhaps the forefather of all of these “cringey” British comedies comes from the mind of Steve Coogan… and that character is Alan Partridge. Now, I’m going to take a few lines to explain to our US audience who the hell Alan Partridge is. You may be familiar with Steve Coogan (Tropic Thunder, Night At The Museum etc. ), but not Alan. Well, Alan Partridge is easily Steve Coogan‘s most famous character (he did stand-up for years as different characters). This may get confusing… but hold in there… and remember Alan Partridge is a character, not a real person – but he has one rich backstory. Alan used to “host” a BBC chat show series called Knowing Me, Knowing You. However, this was cancelled, resulting in his fall from grace. He then ended up presenting radio in a small region of the UK called Norfolk; always fostering the hope of returning to television one day. So far, so good? This was all put on television as “Knowing Me, Knowing You with Alan Partridge” and “I’m Alan Partridge” – a total of three series. That’s it. But the character has returned time and time again, as he’s extremely watchable. Alan is neurotic, annoying, arrogant and a whole host of other negative adjectives. But we love him. I defy you to not go out and hunt down the old series and laugh at them. Especially “I’m Alan Partridge” – both series. So, with that rather lengthy preamble out the way… let’s get on to his first feature film shall we? 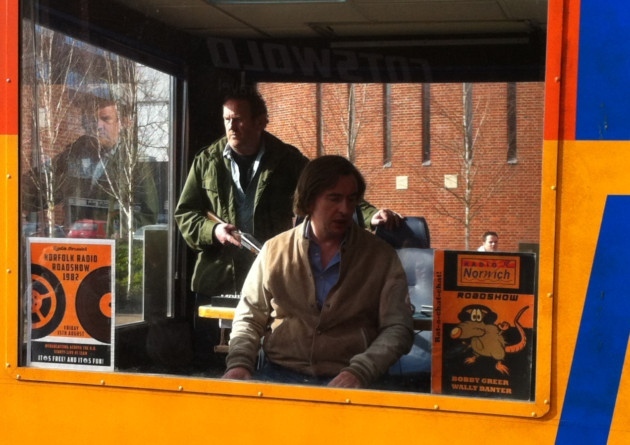 Introducing… Alan Partridge: Alpha Papa. We catch up with Alan (Steve Coogan) still presenting his radio show on North Norfolk Digital. However, the company’s just been taken over by a private equity group that wants to modernise the image and they’re looking to cull the deadwood. So either Alan or fellow “oldie” Pat Farrell (Colm Meaney) must face the axe… and poor Pat suffers. But Pat won’t take it lying down… no siree, he takes the whole radio station captive with the help of a shotgun unless his demands are met. And his first demand? That Alan “Alpha Papa” Partridge be sent in as the chief correspondent. What prevails is nothing short of ludicrous, but consistently and thoroughly funny. In case you can’t tell by now, I’m a big fan of Steve Coogan and Alan Partridge. 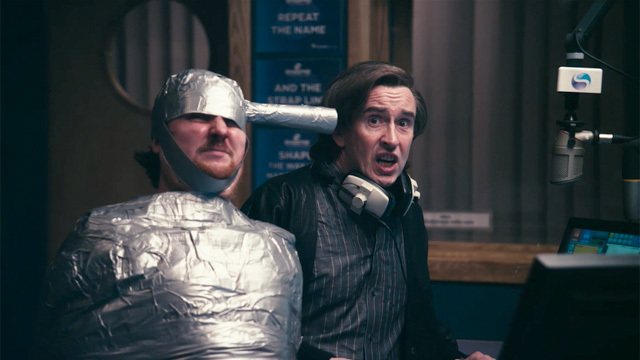 By extension, I’m also a huge fan of Alan Partridge: Alpha Papa. It consistently made me laugh, fully owing to Coogan, Peter Baynham and Armando Iannucci‘s script and of course, Coogan‘s Partridge. Every mannerism and quip is laden with humour and consistently had me smiling from beginning to end. Sure, the plot got a bit bombastic and perhaps overstretched itself at some points, but I just can’t pick fault with Partridge. The humour is the pivot point of this film. You either “get” Coogan‘s Alan Partridge, or you don’t. If you tried to watch the television series all that time ago, or on Netflix, and didn’t get it… well, this film’s going to do very little to correct that for you I’m afraid. However, if you are a Partridgian… or whatever term you wish to make up, then you’re going to be lapping up every single second of Alan’s 90 minute outing, like I was. Even the bloody credits rolling up the screen will make you smile – it’s just that good. As for the acting of Coogan‘s fellow cast members? All delivered with aplomb. Of course, Meaney‘s no amateur in front of the camera and that shows. It was interesting that the casting didn’t pull it any other “big name” UK actors to fill the ranks. It’s very much an “unknown” actor romp… except an always reliable performance by Sean Pertwee of course. As for the plotting… well, I’ve set up the basic premise, but to go into too much more depth would ruin any surprises the film has in store. Don’t for a second think this is a high octane siege movie though. There are no rocket launches, high speed chases or elaborate set pieces. And that’s part of the charm of the movie… it’s set in Norfolk! Sleepy Norfolk! Nothing big happens in Norfolk, so why make up some ridiculous premise. It’s all laughably small scale, and that’s the joy of the film. It doesn’t rely on flashy gimmicks… it lets Alan do the talking… and frankly, that’s all this film ruddy bloody needs! 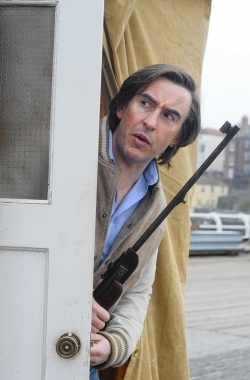 Alan Partridge: Alpha Papa will delight fans of Steve Coogan‘s Alan Partridge. He’s the exact same small-minded, neurotic and arrogant guy he’s always been, and we love him for it. Imagine this film as Speed… but minus Keanu Reeves, and a bus, and high octane fun. But add in lashings of humour and an oddly charismatic lead. 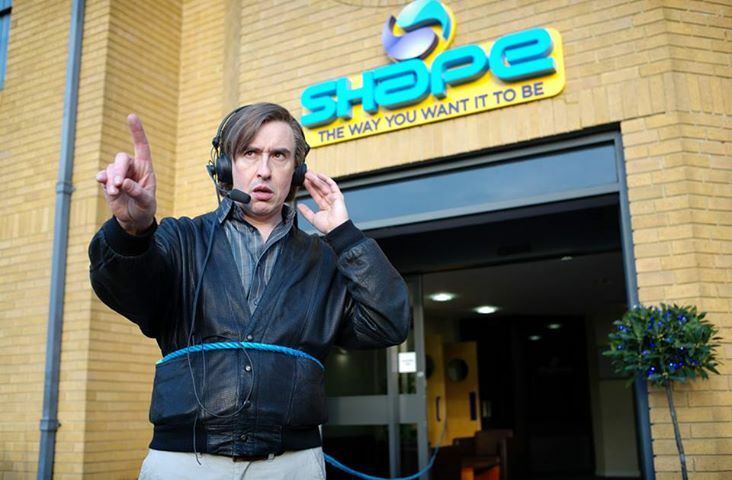 You’re probably some way there to summing up Alan Partridge’s first big screen outing. Once again, the Brits have proved that it really is possible to make a small screen character “pop” on the big screen. Jurassic Park! Sadly, it doesn’t look like it’ll ever hit the US audience, which is a loss, because if you’re a fan of our British sense of humour, this film would delight you. If our (fantastic / superior) sense of humour doesn’t appeal to you… then you’re probably best off rewatching Grown Ups 2. I hear Kevin James falls over a couple of times. You guys dig that right? Fat guys falling over? I know – pretty damn funny… And isn’t Adam Sandler THE funniest guy recently? Oh, I know… tell me about it!! 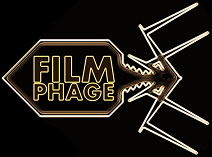 This entry was posted in Review and tagged Alan Partridge, Alan Partridge movie, Alpha Papa, BBC, British humour, Colm Meaney, hostage, I'm Alan Partridge, Knowing Me, Knowing You, North Norfolk Digital, radio station, siege, Steve Coogan. Bookmark the permalink. I don’t get Partridge but I think it’s precisely for the reason that I’m not British. My husband, who is British, LOVES him. It’s all just a little too cringey for me. I think he’s gonna have to see this one without me. A-ha!! Yeah your other half will totally love AP. He’ll come back and tell you how great it was I’m sure. I don’t think it’s one for non-fans, that’s for sure.